MMD president Felix Mutati says he will deal with the ‘‘indiscipline” being exhibited by former party leader Nevers Mumba following his refusal to accept the outcome of the recent Kabwe convention where a new MMD leadership was ushered into office. “You can only have one leader at any point in a time,” Mr Mutati said. Last Friday, Dr Mumba told UPND supporters who had gone to witness the filing in of nomination for Mr Hakainde Hichilema and Mr Geoffrey Bwalya Mwamba at the Mulungushi International Conference Centre that he was still MMD president. 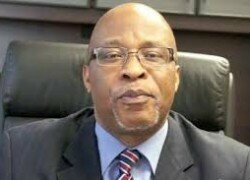 But Mr Mutati has promised to deal with Dr Mumba within the course of this week. Responding to questions from journalists at the Levy Mwanawasa Stadium on Saturday where he attended the PF rally in Ndola, Mr Mutati said the party would deal with Dr Mumba because there could only be one party president at any given time. “The correct position is that Dr Mumba is no longer the president of the party MMD. The party through a convention that was held on May 21, 2016, elected a new leader,” Mr Mutati said. Meanwhile, Mr Mutati explained that MMD was not looking for handouts under the PF-MMD alliance but how best it could partner with the ruling party in order to overcome the challenges of debt management, energy crisis and high unemployment levels. Mr Mutati said the PF-MMD partnership must be based on democracy, transparency, rule of law and most importantly predictable governance. Addressing journalists in Ndola after attending the PF rally, Mr Mutati said the MMD had brought to the alliance table experience, knowledge and the lessons from the mistakes which the former ruling party made during its era. “So our push in the alliance will tackle the challenges that the people of Zambia are facing in the area of debt management and energy crisis but much more importantly we bring the experience together on how to tackle the challenges of unemployment particularly on the Copperbelt. It is critically important,” Mr Mutati said. He said one of the elements that should never be forgotten was that politicians do not provide jobs but only create an environment within which jobs can be created. “In addressing jobs, we must address some of the hurdles and challenges which the private sector actually faces, particularly on the Copperbelt. Most of the private firms on the Copperbelt have depleted but what has actually happened is that they have been suffocated in terms of access to business in their sectors. “So we need to have what we call body engagement with the mining sector to address the extension of business opportunities in the private sector,” Mr Mutati said. He said the financial sector had no liquidity, thereby making it difficult for the private sector to borrow in order to begin creating opportunities. Mr Mutati said the experience of MMD was that if you pursue monetary policy that was too tight as it was being pursued today focusing on eliminating liquidity then you were actually affecting the survival of the private sector. “So as MMD these are the types of experience that we want to bring to bear in terms of inviting and reenergizing the private sector,” Mr Mutati said.